The Lord told Abram, “I am God Almighty; walk before me and be blameless.” God has the same message for us today. We are to obey the Lord in every respect because he is God- that is reason enough. If you don’t think the benefits of obedience are worth it, consider who God is- the only one with the power and ability to meet your every need. Also, God did not forget Ishmael. Although he was not to be Abraham’s heir, he would also be the father of a great nation. Regardless of your circumstances God has not forgotten you, obey and trust in his plan. Let’s Pray: Our faith pleases God and God credits our righteousness. Help us to be ever faithful to You O Lord. There is nothing impossible for you, thus we submit all our desires, wishes and wants in Your hands. We will wait patiently for your guidance and decisions for our life. Amen. 1 When Abram was ninety-nine years old, the LORD appeared to Abram, and said to him, “I am God Almighty; walk before me, and be blameless. 4 “As for me, this is my covenant with you: You shall be the ancestor of a multitude of nations. 7 I will establish my covenant between me and you, and your offspring after you throughout their generations, for an everlasting covenant, to be God to you and to your offspring after you. 9 God said to Abraham, “As for you, you shall keep my covenant, you and your offspring after you throughout their generations. 11 You shall circumcise the flesh of your foreskins, and it shall be a sign of the covenant between me and you. 12 Throughout your generations every male among you shall be circumcised when he is eight days old, including the slave born in your house and the one bought with your money from any foreigner who is not of your offspring. 13 Both the slave born in your house and the one bought with your money must be circumcised. 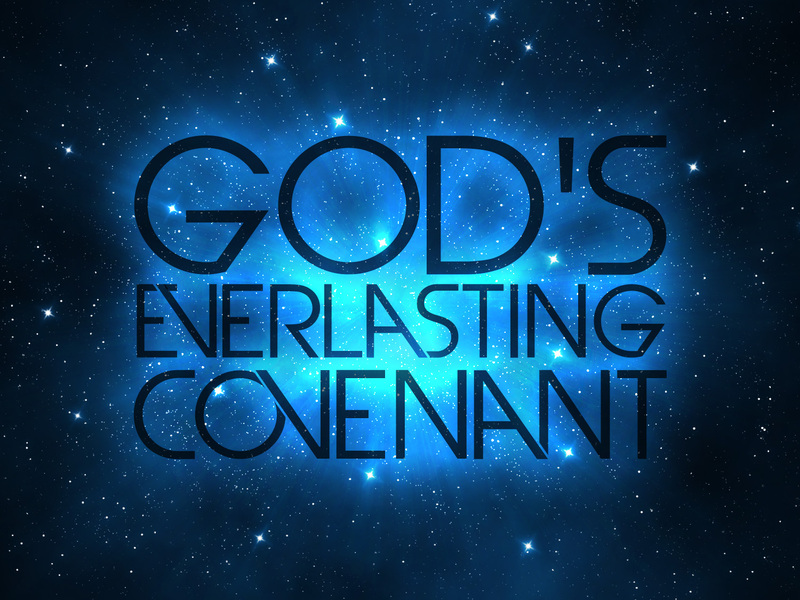 So shall my covenant be in your flesh an everlasting covenant. 19 God said, “No, but your wife Sarah shall bear you a son, and you shall name him Isaac. I will establish my covenant with him as an everlasting covenant for his offspring after him. 20 As for Ishmael, I have heard you; I will bless him and make him fruitful and will make him a great nation. 21 But my covenant I will establish with Isaac, whom Sarah shall bear to you at this season next year.” 22 And when he had finished talking with him, God went up from Abraham. 23 Then Abraham took his son Ishmael and all the slaves born in his house or bought with his money, every male among the men of Abraham’s house, and he circumcised the flesh of their foreskins that very day, as God had said to him. 27 and all the men of his house, slaves born in the house and those bought with money from a foreigner, were circumcised with him.